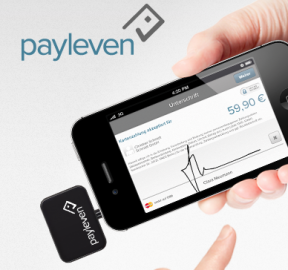 German-based mobile payment company payworks has introduced a mobile chip & PIN solution that enables processing of both major credit cards and local debit card systems. The new mobile Point of Sale infrastructure will enable payment providers to offer a solution that meets the highest of security demands. The solution enables payment acceptance with a smartphone or tablet and features a secure PIN entry device for both EMV Chip and magnetic stripe cards. Payworks has decided to open up its chip & PIN system to providers rather than directly to merchants, which allows mobile Point of Sale (POS) solutions to run the fully compliant technology under their own brand. After trialing the system at this year’s Oktoberfest, payment transaction processor PAY.ON has lent its services to the system. The jump to full compliance means that the chip & PIN solution can go global allowing payment providers to process a number of credit and debit card transactions in a secure and compliant manner. The system works as follows; the PIN is entered on an external hardware device, which is wirelessly connected to a smartphone or tablet running the mobile POS application of choice. 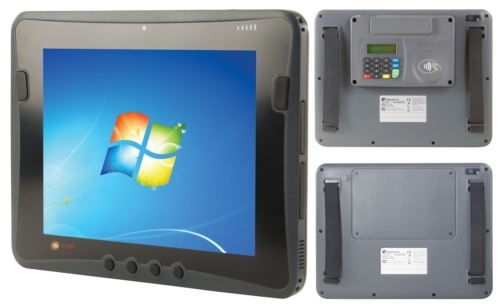 If necessary, the system allows for customer signature directly on the touchscreen of the mobile device. The PIN entry device reads both EMV chip and magnetic stripe credit or debit cards and is PCI-PTS certified. Point-to-point encryption allows payment data to be encrypted directly on the chip & PIN device and is only decrypted in a certified PCI environment.